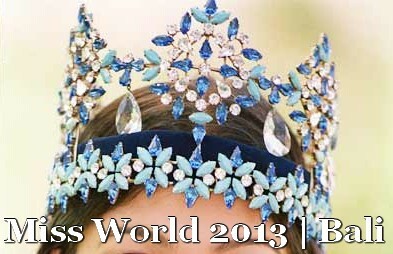 Celebrating its 63rd edition in September 28, 2013, everything is set and ready for the Miss World 2013. Widely known as the world’s biggest beauty contest, the Miss World title is considered as the highest recognition which could be received by a beauty contestant. Together with other competitive events including Miss Universe and Miss Earth, this beauty pageant is known as the most publicized beauty contest in the world. Originated by Eric Morley in 1951, Miss World pageant is the oldest existing competition we get to witness in present day. Surrounded by breathtaking landscape and magical natural scenery, the Sentul International Convention Centre, on the outskirts of Jakarta is the perfect location for this international event. Playing host to some of the prime international events of the world, this imposing arena is the largest venue in Indonesia. Incorporated with state-of-the-art equipments to provide special sound and light effects and with seating capacity for up to 11,000 spectators, the Sentul International Convention Centre is the ideal venue for the Miss World 2013 in Bali. One of the significant features of this year’s pageant is that it is the first time that the event is to be held in the Southeast Asia Region. The cultural background and diversity of nations which are expected to feature in this year’s pageant ties in well with Indonesia’s national motto ‘Bhinneka Tunggal Ika’ which means ‘Unity in Diversity’. The location of this year’s Miss World pageant has brought in few changes to this international event. Indonesia, being predominantly a Muslim country has shown their refusal in exhibiting contestants in their swimwear. As a result the organizers of this year’s pageant have decided to replace the usual “Beach Fashion” segment with a more conservative “Balinese Beach Fabric” event. Miss World 2013 in Bali is expected to lift the name of Indonesia in the eyes of the world and it is also considered as a perfect opportunity for this Southeast Asian country to promote tourism and hospitality to the international community. If you are thinking of visiting Indonesia, there will not be a perfect time for it than this September to explore this exotic Asian nation. Reserve your luxury resort Bali prior to your arrival during this season. If you are looking for a conveniently located and peaceful Nusa Dua resort to reside during your holiday, the Laguna Resort & Spa Nusa Dua Bali is a perfect accommodation option available for all the discerning travellers.